There are dozens of exceptional holiday events in Haverhill, so many that you can find yourself in need of a few fast flying reindeer to visit them all in just one day. 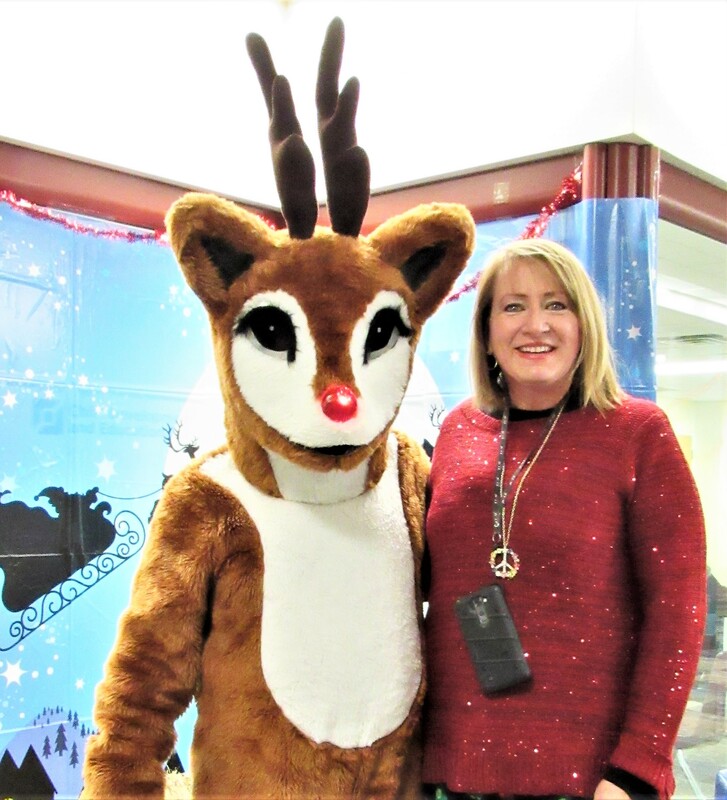 The Heartbeat of Haverhill met up with a reindeer but he was too preoccupied to give me a ride so I ended up dashing through the cold, if not the snow, to take in as much as I could at the Greater Haverhill Chamber of Commerce annual Christmas Stroll 2018. The Chamber and its many members put on a show where there were gifts and food and crafts and assistance with decorating letters to Santa. And the participating shops all had cookies, treats, and prizes. Harbor Place was bustling with activities, ice sculptors who may have been the most appreciative of the below freezing temps as the ringed the entire plaza with lighted holiday themed creations, Santa’s village and photos, Fire Pit & S’mores, Window Murals by Jenny Arndt, Hot cocoa and accompaniments, the Haverhill Bell and carolers. The crowd was big and spread out over so many locations over all of Washington and Merrimack Streets. And everywhere the faces were friendly. A few at the Relay for Life table kindly asked that THOH remind readers that they are typically very svelte but had bundled up beneath layers of puffy clothes. Oh and you couldn’t miss the well dressed dogs – Zeus, Holly, and Athena. Zeus is the big dog in the aviator hat and candy cane sweater. The Heartbeat of Haverhill remembered Zeus (and his people) from last year’s Stroll and he’s still a big hunk of love. And just when you think you know everything about holiday decor and activities and food, you find the human-sized interactive Snow Globe at Haverhill Bank and the In A Blue Moon holiday window decor that featured that other jolly old elf – Darth Vader. And lets not forget the Crispellis, a treat I believe is a legend in the Merrimack Valley; it’s a hot crunchy dough ball stuffed with ricotta or anchovies. Oh and the fact that full sized stuffed animals were given out to children who wrote letters to Santa at the Post Office would have made my younger self sooooo excited. It was a night full of music with performers from Be Imagine Studios, Haverhill Idol Senior Winner Maya Bennett, Dance Images and Liz Bills and the Change. And FINALLY the time had come – Santa arrived downtown amid a voluminous rendition of his favorite songs led by Mama D. This was the real deal!!!! Together Santa and the Mayor Fiorentini counted down til the tree was lit and then presents were tossed to the crowd. The City and the Greater Haverhill Chamber of Commerce sure know how to throw a party that is Merry and Bright! And Dougan Sherwood president of the GHCC, identified the amazing Melissa Seavey and her team for pulling it all together. That is a heck of a holiday miracle! Merry Christmas, Happy Hanukkah, Happy Kwanzaa And a peaceful new year. All photos and text (c) by Alison Colby-Campbell. Readers may share the post as a whole but please do not use individual images without written permission. Great photo-journalism, Alison– really enjoyed this holiday stroll. Hope you’re well, a belated Happy New Year to you! 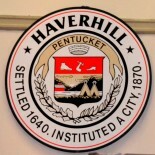 This entry was posted on December 8, 2018 by Brain4Rent/THoH in Alison Colby-Campbell, Christmas Stroll Haverhill, City of Haverhill MA, Greater Haverhill Chamber of Commerce, Harbor Place Haverhill, Haverhill Attractions, Haverhill in Winter, Haverhill MA, Haverhill Massachusetts, Haverhill Mayor James Fiorentini, Haverhill winter activities, Haverhill's Christmas Tree, Uncategorized and tagged Crispelli, Greater Haverhill Chamber of Commerce, HAverhill Bell, HAverhill Place, HC Media, Mama D, Mayor Fiorentini, Santa in Haverhill.